Get ready for some face-melting awesomeness today. 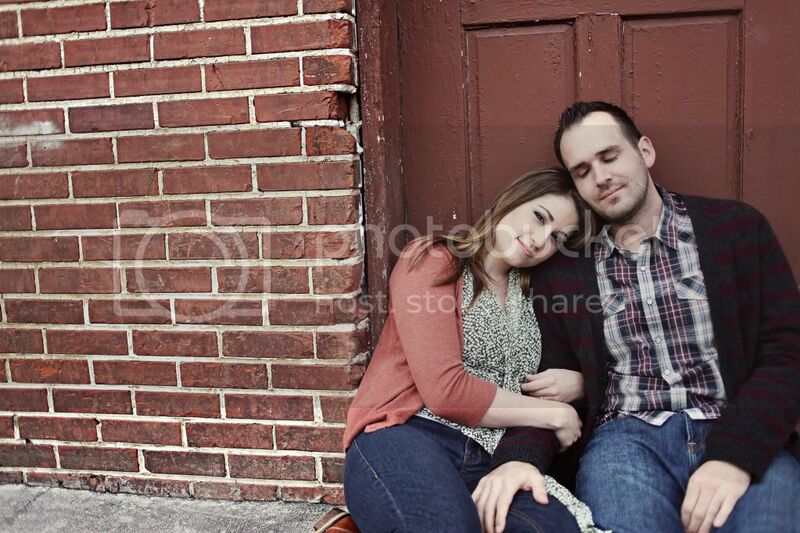 Meet Katie and Jamie, one of my 2012 wedding couples. They are beautiful, cool and funny people. And they seriously have the world’s cutest baby girl. ever. 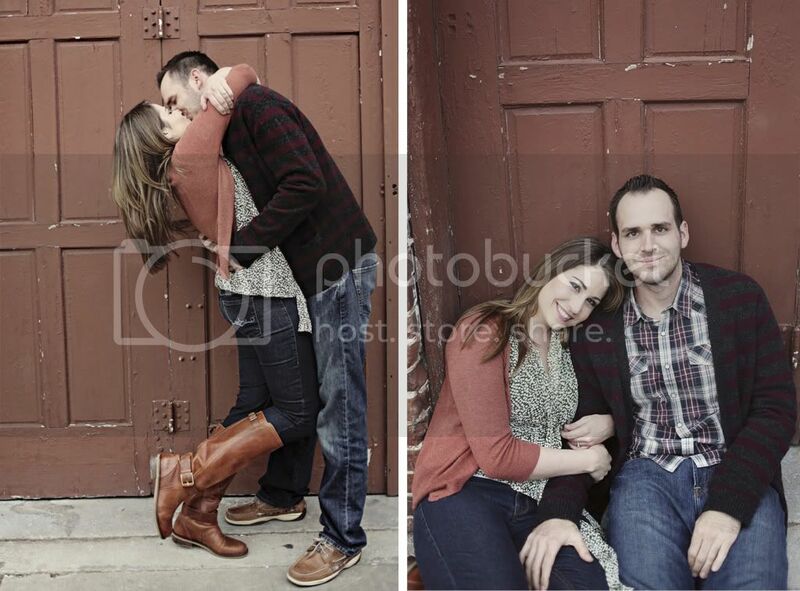 We decided to do their winter engagement session in downtown Winter Garden, one of my all-time favorite locations! Although it seems they’re constantly modernizing it these days (why do they do that?!) there are still dozens of really neat, hidden little alleyways, nooks, crannies, and walls that have great color, texture and dimension to them. Pair that with some seriously fabulous wardrobe selections (hello yellow rain boots!) and bam! 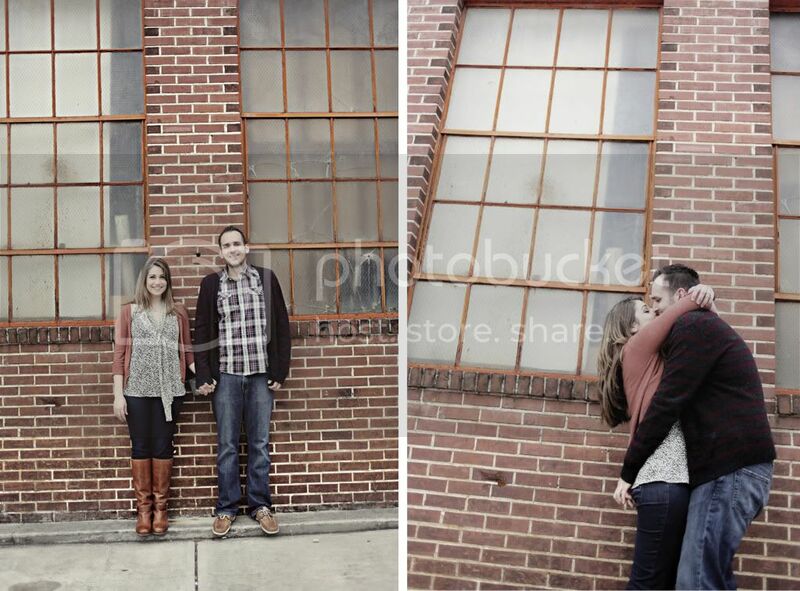 face-melting awesome engagement session ensues. Since this was pre-Christmas, we were also able to take advantage of using the huge tree in the center of downtown for some fun holiday shots. Thank goodness Katie is an extremely patient bride as she waited over a month for me to blog these (I swear my new year’s resolution is to be a better blogger!) Between morning sickness, the madness of my holiday schedule, and an unexpected death in the family, December nearly did me in. But, January is a fresh start and thank goodness my energy tank is filled back up to 100% for the upcoming wedding season. Speaking of which, I truly can’t wait for Katie and Jamie’s wedding in April. I won’t give away too many details, but I know it will be FULL of eye candy and will have some very yummy food! For now, enjoy a few of my favorite images from their engagement session, and stay tuned for more bloggy goodness in the coming week as I try to catch up! Have a lovely, relaxing long weekend everyone! Gale Walters - Beautiful pictures – I adore how you captured their love for each other and that delicious baby. © 2019 sarahbrayphotoblog.com|ProPhoto Photographer Template Cambria by The Shoreline Collection | Designed with love by Seaside Creative.